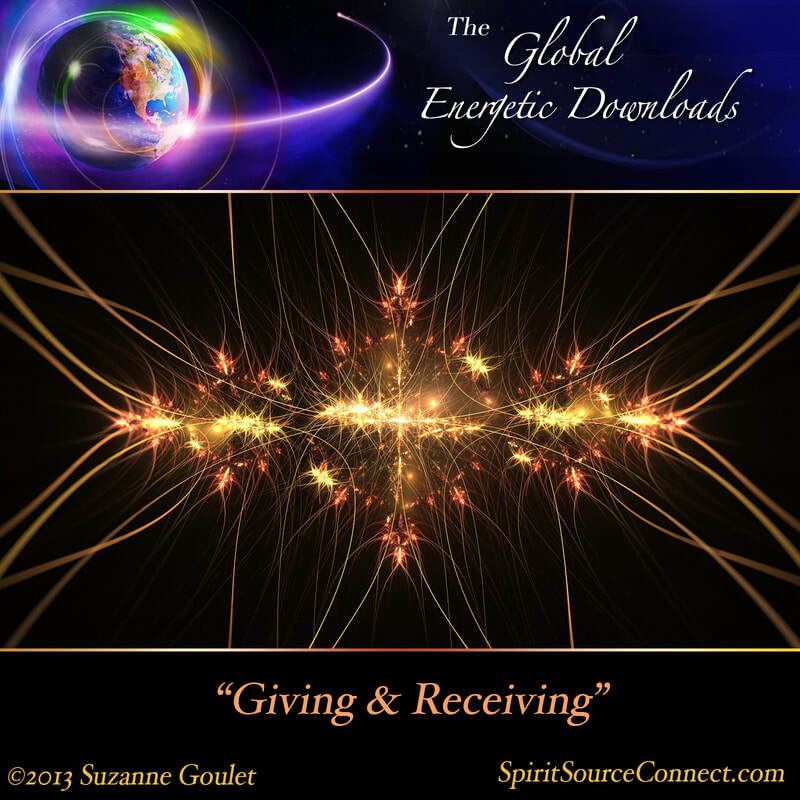 "Giving & Receiving" is a magnificent delivery from Spirit. Through the Power of Divine Love and Light, we are given a true expression of what it means to be receiving this Source Energy, and then delivering it out to all those around us. So often we become preoccupied with the ins and outs of our daily lives. But if we can step back, find our spiritual center, and simply understand that we are in a constant state of giving and receiving, an entirely new perspective can be formed around us. By letting go of what is, and fulfilling our purposes in Divine Love, all is given to us, at any time we need. 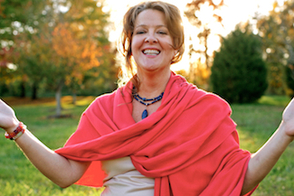 "Giving and Receiving" reminds us of our true power within when we are connected to the Higher God-Source Energy. By keeping intact our connection to this Divine Love and Light, and giving that love and light outward to those around us, we will be continually replenished from Source. Whether you are in a service profession, or just desire to be of greater service in any way, use this tool to continually remind and replenish you, with all the Divine Love and Light you need. "Be not afraid that you are giving too much. You will find that you cannot give too much without also being replenished once again." Use this daily reminder to know exactly what your true power for transformation is in this world. By giving beyond measure, and then replenishing yourself from Source, your success for transformation begins to access greater and greater magnitude. 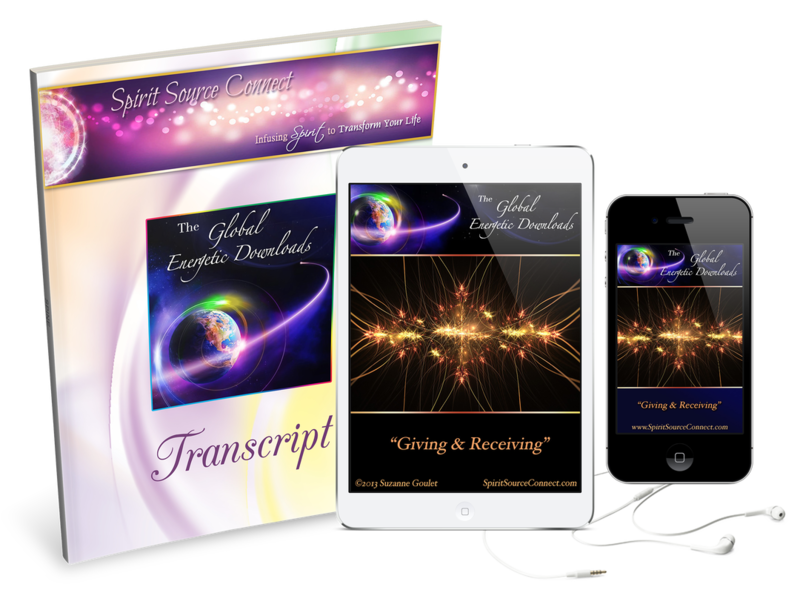 With your purchase of "Giving & Receiving," you gain immediate access to .mp3 audio files, have a CD mailed to your address, and receive a beautiful, printed transcript of the enlightening guidance as well. Many have kept these transcripts to read and reread over and over, providing them with reminders, inspiration, and upliftment.